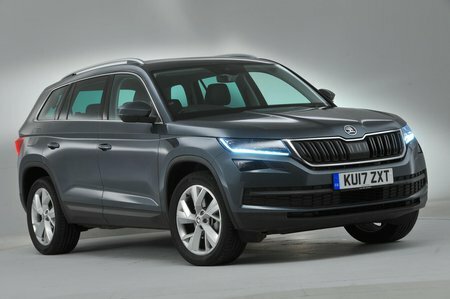 Skoda Kodiaq 2.0 TDI 190 Sport Line 4x4 5dr DSG [7 Seat] 2019 Review | What Car? What Car? will save you at least £2,659, but our approved dealers could save you even more. You get all the SE L goodies, plus 20in alloy wheels, metallic paint, sportier front and rear bumpers, power-folding door mirrors, Alcantara-trimmed sports seats, carbon finish on the dashboard and doors, as well as aluminium pedals.